In 2010 has been produced sailing boat Dufour 325 Grand Large named Alma. This sailboat is placed in base Rogoznica just a few kilometers from Sibenik in Croatia. 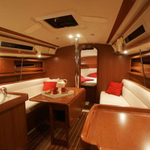 You can take in up to 6 passengers on the yacht Alma. Configuration of sleeping places is 6 (4+2). There are 2 cabins placed under sailboat's deck. Alma is equipped with 1 WC. Get more more vessels in this site: Yacht charter Sibenik. In this yacht is applied motor 20. 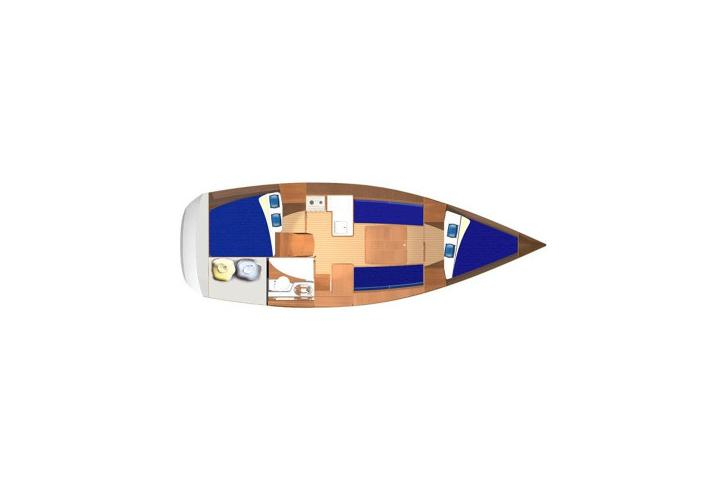 With 10.08 meters of lenght overall and 3.40 meters of width Alma offers enough space for comfortable sailing. Dufour 325 Grand Large Alma is equipped with: Anchor electric windlass, Teak cockpit, Bimini top, Outboard engine, Autopilot, Gps plotter, Bed linen & towels, Heating, Furling mainsail. . Security deposit is at the level of 1000.00 EUR. 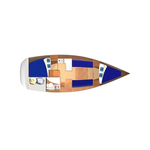 Browse for more vessels here: Yacht charter Rogoznica.